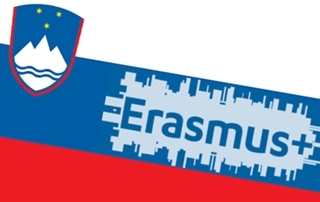 We are proud to be a host organization for the European learning mobilities of individuals. Under the framework of mobility projects for VET learners, we welcomed, for the 4th time, a young group from Celje School of Economics in Slovenia. For us, it was an important and also a heartfelt wish of ours to introduce young people to the world of Online Marketing. It became part of our daily lives, and as the awareness continues to grow, so does the importance of this field. It is essential for persons within the working world to have a basic understanding of Online Marketing. On the 18th of April, we were happy to welcome the new group to Puerto de la Cruz. The group consisted of 15 students and 2 tutors, who would spend the next 2 weeks, jam-packed with seminars on handpicked topics, workshops, trainings and activities, with us! They expected to be introduced to many new topics and tasks in the field of online marketing. Every one of them was excited about that! This was their first time to Tenerife and also their first time being so far away from their country. Before they had to get started with the Online Marketing program however, they had the Sunday free. This gave them the opportunity to embark on their first adventure, and for this the group chose to visit the world famous Loro Parque in Puerto de la Cruz. Besides viewing the magnificent animals, they also visited some of the most impressive attractions of the park. This included the shows for the sea lions, dolphins and orcas. By the way, this was the only place that featured an orca show in all Europe. After receiving such great first impressions, they had been wondering what to expect in the following week. Monday started out with an Online Marketing Introduction with “el jefe” Frank. This provided them with their first overview of the topic. This introduction followed a workshop with Lisa about how to make use of some crucial Google Tools. During their training course that was held in the second half of the day, they would be able to put their new knowledge into use. The best way to do it, is to do it for real! So they created blogposts, infographics and well-edited photos, and put these on their own blog! They were looking forward to a new, fascinating seminar and workshop every day. It is challenging to put everything they learned and experienced, during their first week on the island, into words. Together with our web design expert, Adan, they learned how to use WordPress. Jefe Frank taught them the basics about Content Marketing, and our expert, Pablo, taught them about both the basics and importance of On and Off Site SEO. After their workshops with trainer, Lisa, they naturalized the most important functions of Canva. They learned how to structure a blogpost in the right way and discovered why properly-researched headlines are essential in Online Marketing. We also prepared some offline challenges for them! These challenges comprised of super funny team building activities that pushed their creativity to the limit and also helped them learn a lot about the spanish culture. The challenge, dubbed ‘mission impossible’, actually turned out to be not so impossible to our outside-of-the-box-thinking students. The students were also very pleased to be able to take advantage of an extra seminar that was held by one of our interns. Orsolya had been working as a career building trainer for over two years and she enjoyed hosting our group in a seminar aboutcareer building opportunities around the world. These were some very intense days and a lot of preparation and hard work went into them. The students had already developed new skills and got real insight into the Online Marketing world. Now, they earned themselves a creative pause and received more inspiration through their new impressions of the island! Saturday was excursion day to the Teide National Park, which is a unique and world famous location. It is the biggest national park in Spain and was named a World Heritage Site by the UNESCO. On Sunday, they found themselves in a totally different world in the south of the island, where there was different flora and fauna even though this was only an hour away! Time for the second week! This week was all about Social Media. It started out with Social Media Marketing, with a special focus being on Facebook over the following days. They were able to get a closer look at Marketing on Facebook. Moreover, they were shown all that can be done with Pinterest and Instagram and how best to use its power! Unfortunately however, time ran by so fast on them that they soon reached their last seminar. This seminar was something special. The topic was Digital Marketing trends in 2015 and was held by the director of the school, Frank. The last day was an official holiday in Tenerife, and it was a time for pure joy! Our group was literally enjoying every moment they had on this beautiful island before heading back home, and carrying many new skills and ideas in their luggage. Thank you very much guys. We were glad to have you with us here on Tenerife!